It is no longer a secret that the recruiting market is increasingly undergoing changes. But how do personnel service providers feel about these changes and, above all, what consequences do they draw from them? Talention interviewed two recruiters from STAFFXPERTS GmbH about the importance of content marketing in recruiting, their use of the Talention software and their attitude towards the much discussed need for a motivation letter. STAFFXPERTS GmbH is a personnel service provider - with numerous customers in the fields of mechanical and plant engineering, energy, automotive and chemicals. 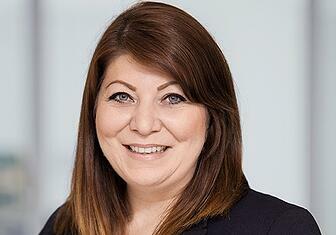 Sevil Kallat-Karakas is senior recruiter at STAFFXPERTS and works in the field of mechanical and plant engineering. 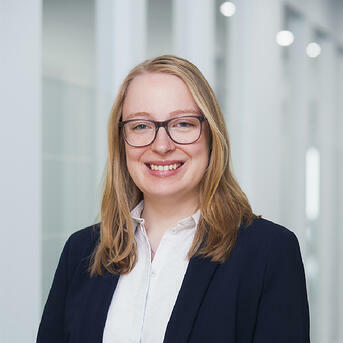 Hannah Böckmann is a junior recruiter specializing in the chemical industry. "With Talention, we now have a software solution that combines all functions, processes and, above all, our entire application process in one place. Unlike before, where we had multiple systems in use and no centralized management was possible." Talention: "What were your recruiting challenges before Talention was used in your company?" STAFFXPERTS: We previously worked with an applicant management system, but there was the problem that there were too many platforms where applications could gather. We needed a system that would pool all applications and give all our recruiters easy access. Now with Talention, we have all the tools we need instead of working with many different systems as before. This is a great relief for us. Talention: "What other challenges do you face on a daily basis today?" STAFFXPERTS: You hear the term " lack of skilled workers " almost every day. However, we do not think the term is 100 percent accurate. Skilled workers are far from extinct, but are often in the wrong jobs. The challenge here is that these workers must be reached through special methods. To achieve this, we also have to take into account the sometimes difficult requirements of our customers. Another challenge for us as a personnel service provider is that we have to mediate between candidates and companies. If there are delays in the companies themselves, it is often the case that the candidate is already gone. There is often no long unemployment period. Applicants have the opportunity to find many different alternatives and thus gain negotiating strength. Our task here is also to convince the candidates. Talention: "Do you use Talention's analytics tool?" STAFFXPERTS: Our goal for the future is to work more with the Talention dashboards. We noticed that we can derive interesting information from the dashboards - from which job board, for example, we receive the most relevant applications. The research tool is an established part of our job ad creation process. This is how we find out which job title we should use and how it is listed. Talention: "Your blog can also be found on the STAFFXPERTS website - not only with articles on topics regarding applications, but also on the industries in which your customers can be found. How important is content marketing to you in recruiting?" STAFFXPERTS: Content marketing is very important for recruiting - especially for us as personnel service providers. Many have a preconceived and negative opinion of recruitment agencies. With content marketing we can prove that we are well acquainted with the industries in which we operate. We not only process applications, but also have a great deal of knowledge and experience behind our actions. Our blog articles and our content give us the opportunity to communicate this. Talention: "In which direction will the recruiting market develop?" STAFFXPERTS: We are increasingly noticing that LinkedIn is becoming more and more popular and we are further expanding our presence there. Overall, active sourcing will remain relevant. The times when you post a job ad and then wait are over. We address most candidates ourselves. However, this does not mean that we neglect job advertisements - they must continue to be placed carefully and in a target group-oriented manner. Advertising via the smartphone is also becoming increasingly important. We also adapt to this and try to improve our candidate journey in this area. This also includes the fact that we have decided not to include the motivation letter as a mandatory field in our application form. In the future, candidates will want to apply ever faster and more conveniently. Talention: "Thank you very much for the informative interview!"